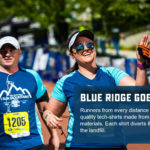 The Blue Ridge Marathon & Half Marathon Virtual Training Programs have been uniquely crafted to prepare runners for America’s Toughest Road Marathon. That can be an intimidating statement for many, but regardless of where you live our program will help you achieve the challenge level of your choice injury free. We have three different training programs for both the half and full marathon distances – one for beginners, intermediate runners, and one for higher-mileage advanced runners. 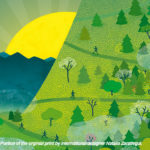 Also available are plans for those of you who don’t have hills to train on. With over 7,400 ft. in elevation change, this race is not for the faint at heart. But if you’re looking at this webpage then we know you’re the type who likes a good challenge. With the help from our experienced race director, coaches and experts from Blue Ridge Racing we have customized a multi-faceted training strategy that will safely bring you across the finish line so you can check “America’s Toughest” off your bucket list. Half of “America’s Toughest” still equals one tough race. The Blue Ridge Half Marathon boasts ~3,800 ft. in elevation change, so while it’s half the distance it’s over half the elevation change of the full marathon. This unique course warrants a one-of-a-kind training program to prevent injury, increase success rates and get you across the finish line with a smile on your face. Blue Ridge Racing is the race management company that manages the on-course logistics of the Blue Ridge Marathon. With an intimate knowledge of the course, experience racing 5Ks to ultras and a passion for running, owners Molly & Matt Bullington are able to guide runners safely and effectively to reach their training goals for the Blue Ridge Marathon & Half Marathon.